Antigen Retrieval Buffer (100X Tris-EDTA Buffer, pH 9.0) enables target retrieval in formalin-fixed, paraffin-embedded tissue sections in one step. It is optimal for use with primary antibodies that require Tris-EDTA buffer (pH=9.0) pretreatment. This product contains detergent for emulsification of the paraffin. 1X Dilution: The 100X stock solution should be diluted 100-fold with distilled water before use. Place slides in a Coplin jar containing 1x Antigen Retrieval Buffer; cover with a vented plastic wrap and place the jar in microwave and set high power to boil and set low power to keep it boiling for 10 min. Let the sections cool in the microwave for at least 20min. Wash sections with hot tap water for 1 minute. Wash sections in buffer for 2x3 minutes. Block endogenous peroxidase as usual. Block non-specific sites with a Blocking reagent as usual. 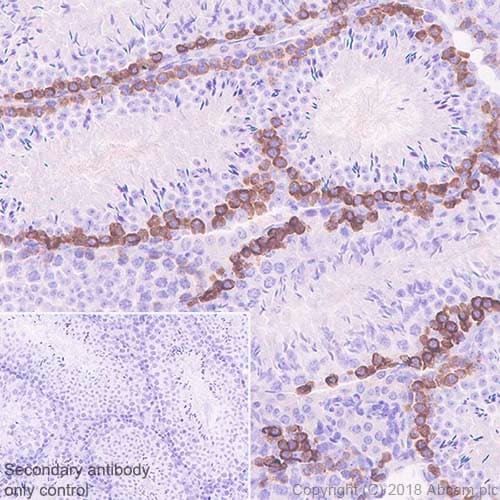 Place optimally diluted primary antibody on the sections (incubation time and temperature for a given set of experimental conditions should be determined by the investigator). Rest of the procedure is same as routinely performed in your laboratory. Other antigen retrieval buffers include: Citrate buffer pH 6.0 ab93678, EDTA buffer pH 8.0 ab93680, Tris buffer pH 10.0 ab93682, or see the full list of retrieval buffers. Note: Buffer 100x concentrated with detergent. Our Abpromise guarantee covers the use of ab93684 in the following tested applications. 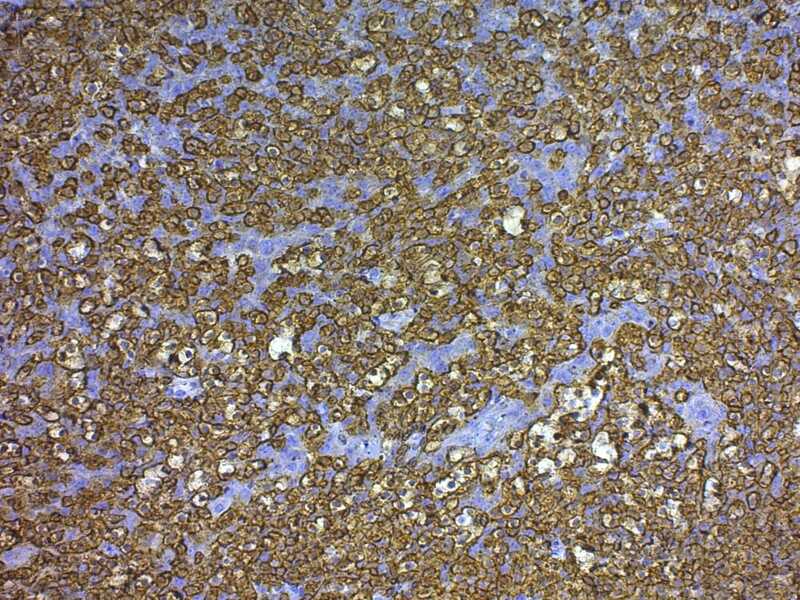 Immunohistochemical analysis of paraffin-embedded mouse testis tissue labeling LINE-1 ORF1p with ab216324 at 1/500 dilution, followed by a ready to use Goat Anti-Rabbit IgG H&L (HRP). Cytoplasmic staining on spermatogonia of mouse testis (PMID: 24607009) is observed. Counterstained with hematoxylin. Publishing research using ab93684? Please let us know so that we can cite the reference in this datasheet. What protocol do you use with this product? Please find the recommended protocol to use with ab93684 attached.